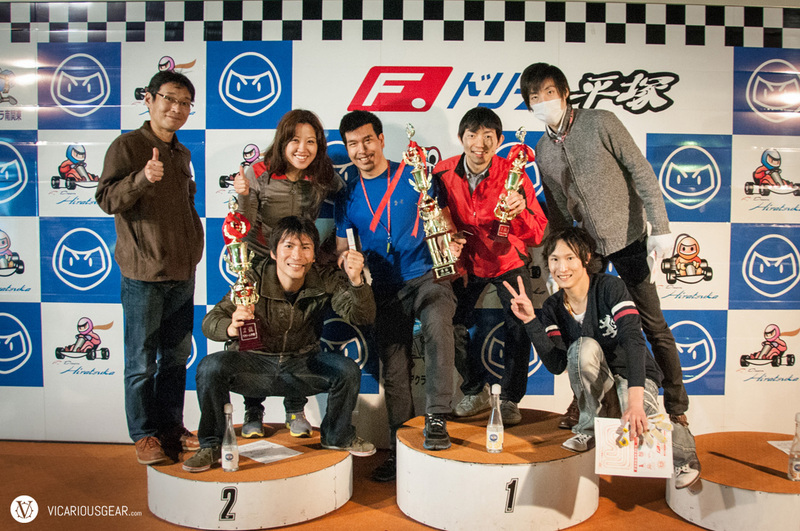 One of Mimi’s coworkers, Sakimura-san, heard I was into racing so he set up a group excursion to a nearby karting track called F. Dream. 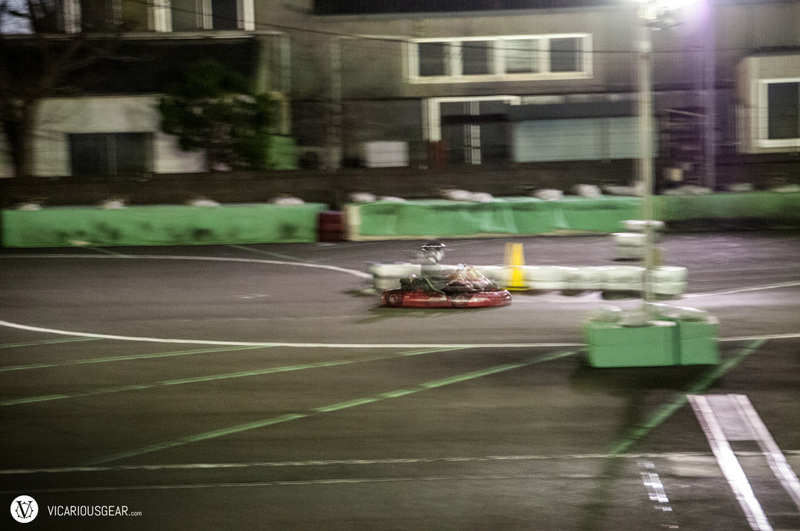 Being my first time karting in Japan and first time driving one at night, I wasn’t sure what to expect. 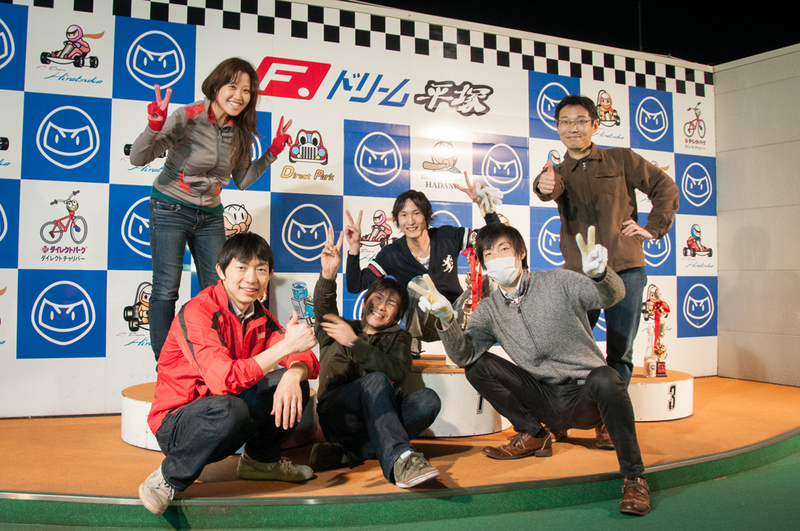 Mimi was really excited since it was her first time trying 80km/h karts. Once we arrived, I noticed that it was much the same as in the U.S. but with Japanese enthusiasm and politeness thrown into the pre-race rules presentation. Unfortunately, the presentations were all in Japanese and I had to translate for Mimi based largely on conjecture and previous experience. Despite that one obstacle, Mimi and I had a great time. The karts themselves had 200cc engines, really nice Tillet seats and minimal fairings with open wheels. Here are some videos of the action and pics of the unexpected prizes post race. One of Mimi’s coworkers speeding around the back of the course. I should have brought my faster lens. My competition, Mimi and her coworkers. A great group. 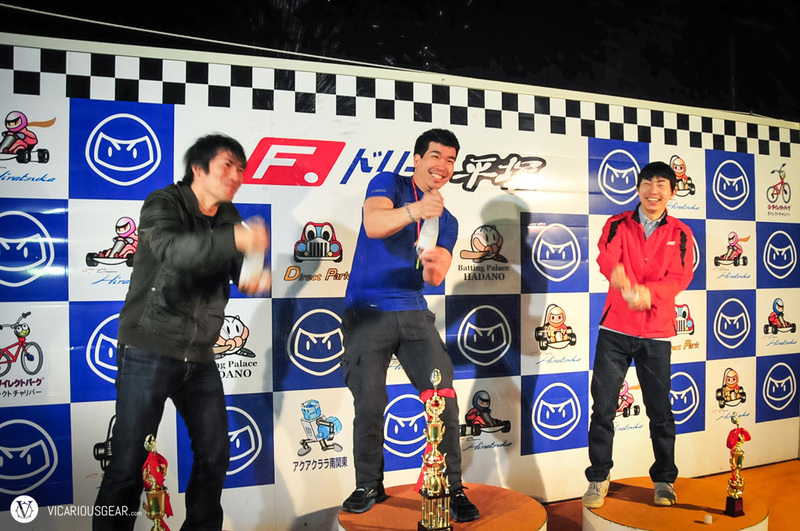 I was surprised that they had a podium and trophies set up for the top 3 after the race. Even more surprising was the carbonated water bottles they provided to act as “Champagne” for us to spray around. Not as bubbly but still fun. 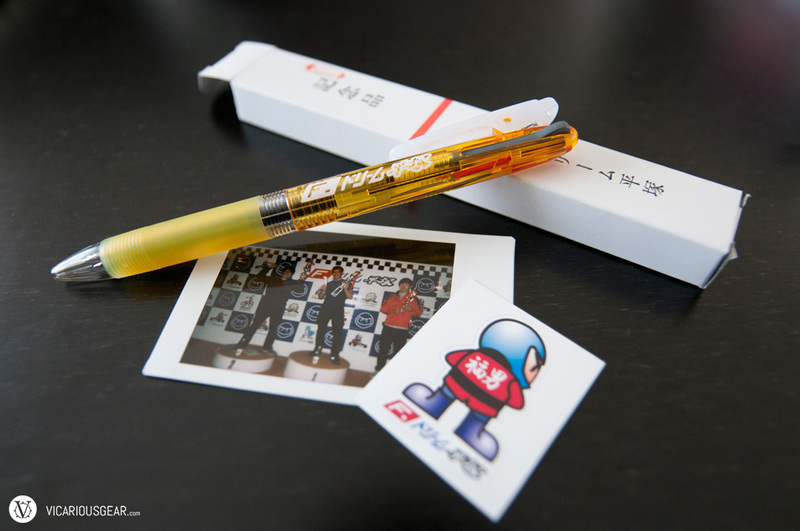 Prize pack for first place included a dual color pen, Polaroid photo and a cool little sticker.